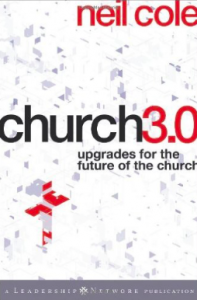 Neil Cole’s newest book, Church 3.0: Upgrades for the Future of the Church just arrived. I’ve been anticipating it for some time and I’m eager to keep reading. You can read the Introduction and First Chapter here. We need to upgrade the operating system for the church. A good upgrade does a few things. It makes the operation simpler and more intuitive. It also is more powerful in accomplishing all its important tasks. Finally, a good upgrade opens up the software to whole new markets that would never have tried to use the product in the past. There have been two major upgrades in Church formation since Acts that have changed the entire system. The first occurred dramatically during the rule of the Emperor Constantine. The church shifted from an underground, grassroots, organic movement to a more institutionalized organization. I believe that the second is occurring now. I’ll post a review when I finish reading it. So far, I like the fact that this book is biblically-based, practically-oriented, missionally focused, and kingdom-driven. One of the things that thrilled me as I started reading the opening pages is that Neil dedicated this book to my best friend since high school, Paul Kaak. Paul is an incredible man of God who has incredibly influenced my thinking toward organic models of church. But more than that, he has encouraged me, believed in me, and supported me in being the man God has called me to be. 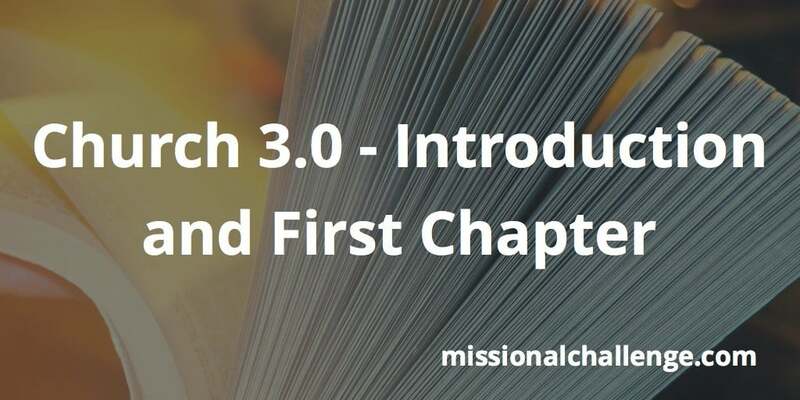 For more on Church 3.0, check out cmaresources or Amazon.com. For more on Missional Shifts, read this blog post. 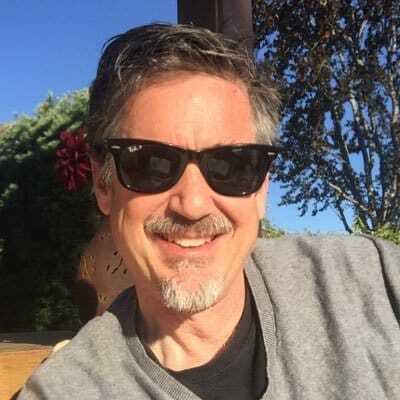 Church 3.0 – Audio Interview with Neil Cole.